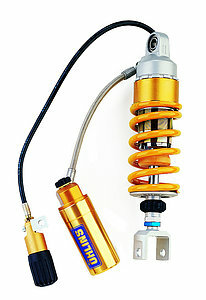 The original suspension is normally made for use on roads. If you are doing something besides the normal use or the bike needs to carry more weight than it was planned to then it can happen that the original suspension is not able to handle this. That could be very heavy luggage for a tour, track days or racing. Even if the suspension just doesn´t feel the way you would like to have it or you are simply looking for a higher-end alternative. 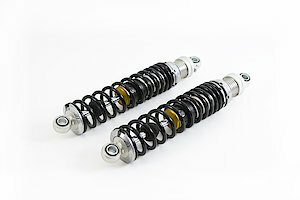 Therefore you have a wide range of shock absorber options. 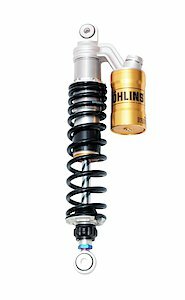 Starting with a single tube shock with 36mm piston up to a TTX44 MX & Enduro shock absorber with twin tube technology and 44mm piston. 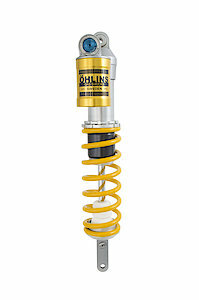 Qualities that all shocks from Öhlins share - sensitive response & modern design! 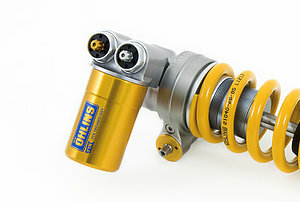 S46PR1C2LS= single tube shock absorber with 46mm piston, external "piggy back" reservoir, adjustable rebound damping, adjustable high- and low speed compression damping, adjustable length and hose mounted hydraulic spring preload adjuster. 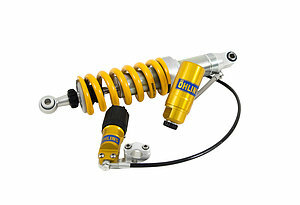 The information about the shock type and adjustment features you will find within the notes of the individual product.